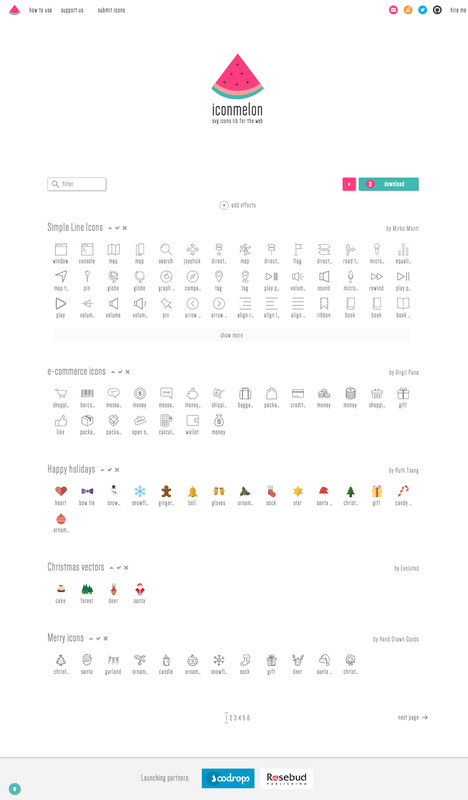 One Pager for free SVG icon resource ‘iconmelon’. The site loads all it’s pages + archives with AJAX and it works surprisingly well. One feature that intrigues me is the donate block in the ‘support us’ section – it seems to keep a tab of paypal donations and works out how many months they can operate for based on monthly cost vs current donation amount. Lovely touch that. Iconmelon was built on enthusiasm and faith in free and open WEB. It is an open source project and needs your care to be hilled up and watered well. We need your support.